Octa core mobiles are Android mobiles with octa-core processors. Forty such mobiles are detailed in this octa core mobiles price list where every mobile is priced at less than 15,000 Rupees. The best price for octa core mobiles above 10,000 Rupees and below 15,000 Rupees are sourced from online and offline brick-and-mortar stores in all major cities in India on a daily basis. The price of octa core mobile were last reviewed on 21st April 2019. Mobile brands listed in this price list are Samsung, Sony, Xiaomi, Xolo, Lenovo, HTC, Asus, Huawei, Gionee, Panasonic, Intex among others. These phones come with other top of the range features like high-res cameras, expandable internal memory, high-speed RAMs to name a few. 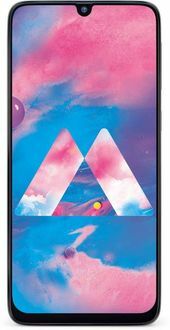 A detailed list of these features is available for every octa-core mobile in this price list, along with pictures of mobiles, user reviews and a price and feature comparison tool. The lowest price of octa-core mobiles under 15,000 Rupees are best used in the Indian cities of Mumbai, Chennai, Delhi, Kolkata, Pune, Hyderabad, Bangalore. Tax rates may cause mobile prices to differ in other locations in India.